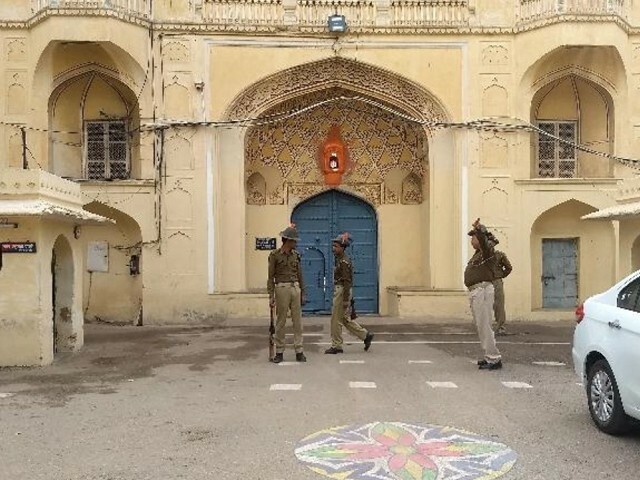 In what can be termed as an inhuman and barbaric act, a Pakistani prisoner named Shakirullah was beaten to death in Jaipur Central Jail at the hands of Indian prisoners. Shakirullah hailed from Sialkot and was serving life imprisonment in India. It was no coincidence that he was murdered in the aftermath of the Pulwama attack, which claimed the lives of atleast 44 Indian soldiers. Since the attack, the Indian government and Hindu nationalists are threatening Pakistan of dire consequences whilst harassing Kashmiri Muslims across India. According to Jaipur Central Jail’s official, Shakirullah got into a quarrel with his inmates and as a result was beaten to death. A day and a whole lot of criticism later, India has put the concerned officers on Awaiting Postal Order (APO). But this still does not answer why the officers present did not intervene and instead let the situation escalate to the point where Shakirullah lost his life. 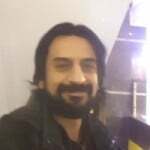 This incident seems to be the repercussion of the hate Narendra Modi’s government is trying to fester for Pakistan and Indian Muslims in order to achieve success in the upcoming General Elections. Shakirullah had nothing to do with the Pulwama attack but he was brutally killed because he belonged to Pakistan. One wonders why the human rights organisations are silent about the tragic death of Shakirullah because international prisoners are supposed to be protected and given their due rights. India is only concerned with settling scores and is trying to cash in the Pulwama incident both politically and diplomatically. Things have escalated to this point because Modi and his followers kept adding fuel to the fire by accusing Pakistan of orchestrating the attack without any concrete evidence or investigation. Contrary to the treatment given to Shakirullah, the self-confessed Indian RAW agent Kulbhushan Jadav, who is accused of sponsoring a number of attacks in Pakistan which resulted in the deaths of Pakistanis, is still given his due rights as an international prisoner. Jadav was even allowed to meet his family and the Pakistani authorities never objected to this despite the fact that this individual has Pakistani blood on his hands. This shows that contrary to India’s claims, Pakistan’s government and its people are much more tolerant and civilised than New Delhi and the Hindu extremists. Pakistan never threatened to launch a war on India despite the fact that it’s armed forced and civilians were killed in suicide attacks that were allegedly sponsored by RAW. Not only this, but it seems Pakistani diplomats have also been facing a hard time across the border. On February 18th, the crowd protesting against the Pulwama attack stormed the Pakistan House in New Delhi and managed to jolt the gate of the Pakistani consulate. The alarming thing was that despite the presence of security forces, protestors were allowed to breach protocol and weren’t stopped from reaching the main gate. This indeed shows India’s below-the-belt diplomatic approach. The high commissioner in New Delhi was representing Pakistan and trying to attack any country’s embassy or diplomat is considered an attack on the country itself. Pakistan in response has lodged a strong protest and summoned the high commissioner to convey its concerns to New Delhi. The Pakistani high commissioner for India was also called back in order to further consult about the situation after the Pulwama attack. No one is denying the fact that India faced a horrible tragedy and the resentment and grief that they feel is justified; however, taking out that frustration on Muslims living in India and Kashmir, Pakistani diplomats and Pakistani prisoners can never be. There are civilised ways to record protests and saner and peaceful societies do not use violence to voice their condemnation. Violence breeds more violence and at this point in time, neither India nor Pakistan needs any more of it. Instead of pointing fingers at Pakistan, India should look at the growing extremism in its own backyard. As a result of Modi regime’s extremist policies, the Kashmiri youth feels alienated, which is leading them to taking matters in their own hands. As far as the death of the Pakistani prisoner is concerned, the world has seen the ugly face of Modi’s fascist regime. If India can take the case of Jadav to the International Court of Justice (ICJ), Pakistan too needs to knock their doors for the brutal death of Shakirullah. Likewise, Pakistan needs to protest in the United Nations (UN) against the harassment of its high commissioner in New Delhi as Modi’s regime will never understand the language of peace and silence. It is high time for saner voices in India to put pressure on their government and stop this farce otherwise the extremism will grow in India and will not only lead to communal violence but might just also start a war that India is dying to wage. And it won’t be in India’s hands to stop it.